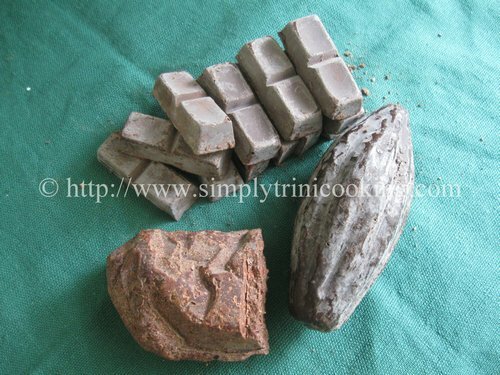 So, we have come to the final act of the Cocoa Trilogy that explored cocoa in Trinidad and Tobago in its glory days to showing how it was made the traditional way long time. Well, you don’t have to guess what’s the next step. After all that hard work, pounding that cocoa in the mortar, now what’s left is to enjoy the fruits of our labour and sip a nice hot cup of creole cocoa. Before I go into making the cocoa tea I have to explain something on teas….. 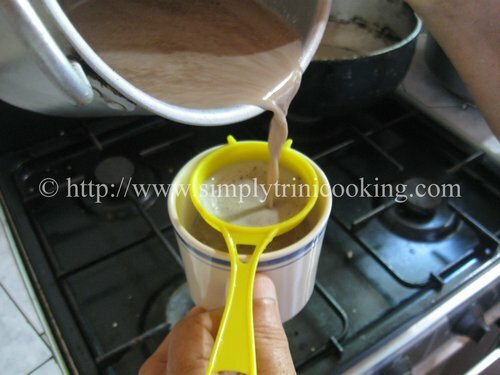 In Trinidad and Tobago and the Caribbean, “tea” is any hot drink which ranges from Lipton to bush tea (such as fever grass tea, and zibapique tea) to hot milk drinks like Milo and Quick to which cocoa tea falls under. So when I say tea don’t think of Lipton or Camomile tea. Making cocoa tea is very easy, and could add a little variety to your normal “tea” lineup. A hot cup cocoa tea can be very relaxing after a long and tedious day. It is a good substitute for coffee as well, especially if you are trying to kick of that habit. Cocoa tea would not bring on any of those side effects that are common in coffee, due to the amount of caffeine it contains. Instead you will trade in the health benefits of Cocoa tea. Ladies Note: Cocoa tea is rich in antioxidants; it can trigger that feel good mood, and help you maintain a healthy complexion. What else could you ask for? It is truly a feel good and look good elixir. If you have never tasted cocoa tea, believe me you have done yourself an injustice. I urge you to get over that immediately and find yourself some cocoa bars to grate. 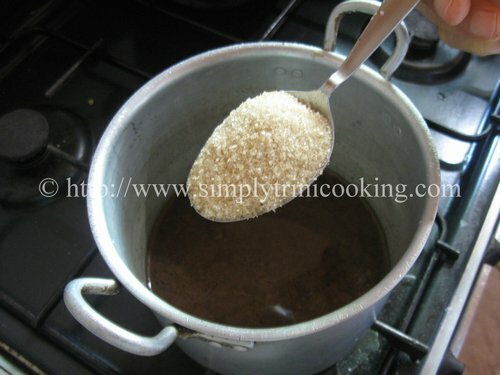 It is readily available in supermarkets all over the country, and probably in the West Indian section of your supermarket if you live outside the Caribbean. There are a few local brands here in T & T whose quality is very high. They come in regular shapes like chocolate bars and I’ve even seen one brand in the form of the cocoa pod: very creative I must say. with a piece of my own cocoa “bar’ (the light brown one in the middle). Once you taste cocoa tea, you would never be able to resist it. I certainly cannot. I am glad I grew up on this stuff; nothing else could ever compare to its taste. In that one cup, you come to know how true chocolate really tastes. Everything else fades in comparison. Note:For a Casein Free Cocoa Tea, you may add coconut milk, almond milk, or any other type of casein free milk. You can also add extra spices for added flavor. 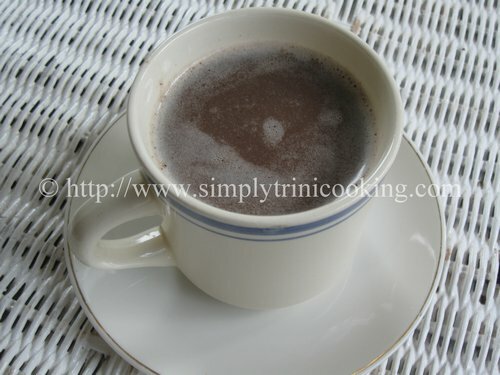 Here’s Cocoa Tea Trini style. 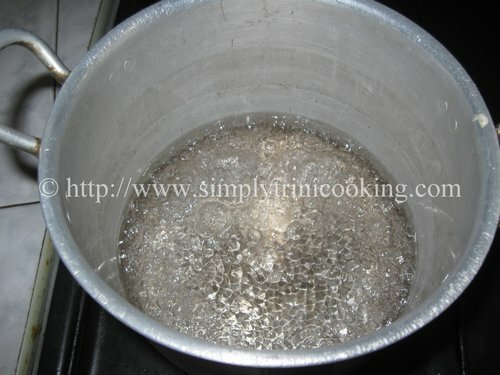 Boil the water in a deep pot. 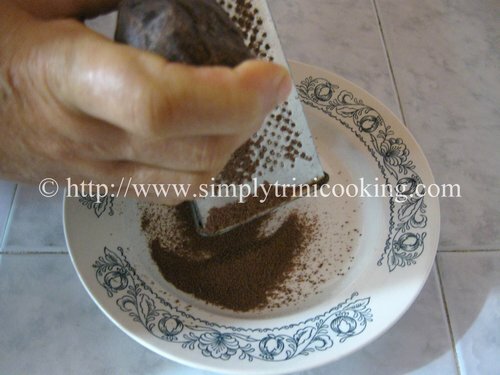 Then add the grated cocoa to the water. 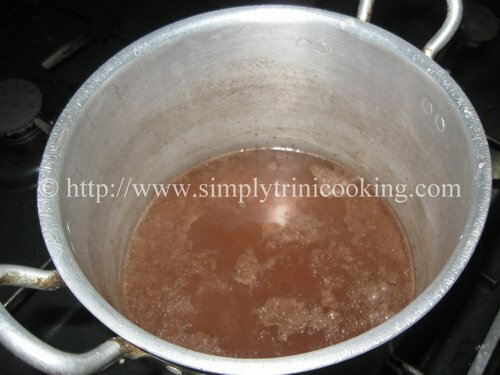 Allow to simmer for about 10 – 15 minutes. Then turn off the stove. I just had to put the picture here again. 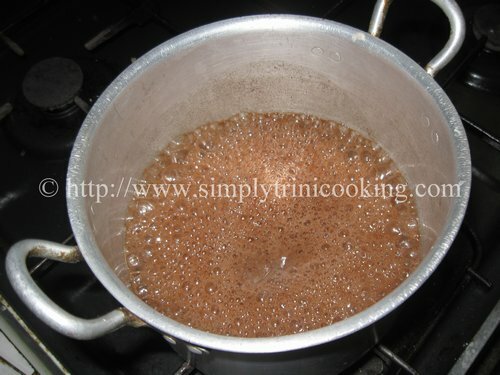 Do you notice the cocoa grease floating at the top?Real Good stuff! Now to go look for a piece of bake lol! More recipes to come…as usual. 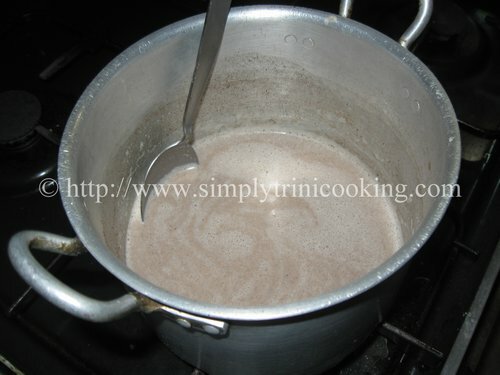 Don’t forget to leave your comments in the comment box below about making cocoa tea. 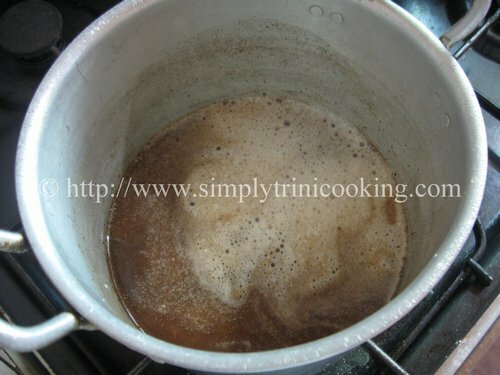 Hmmmm, you are so right, a cup of this with some bake and butter will always hit the spot! Special addition to bake and butter, would be the New Zealand Cheddar cheese or a good quality Cheddar. The cheese simply melts…. 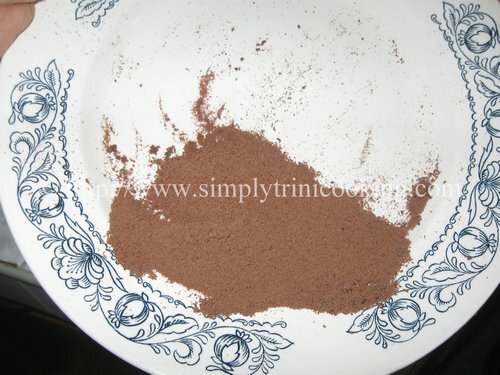 I bought piece of cocoa in San Juan market, going to have it with some coconut bake and buljol. Thanks for sharing your info on this exotic drink, I think I would add some condense milk also. Hello! great to read this. My Trini mum brought back two lumps of the cocoa tea when I asked for the little bars. Was just reading up to figure out whether I should put them in the fridge. I make it with oat milk and some coconut palm sugar and it’s rich and satisfying. Great to see this is still going! So much better than using imported products rife with additives. Never heard of salt being added to cocoa tea. Is it optional according to the taste you want?